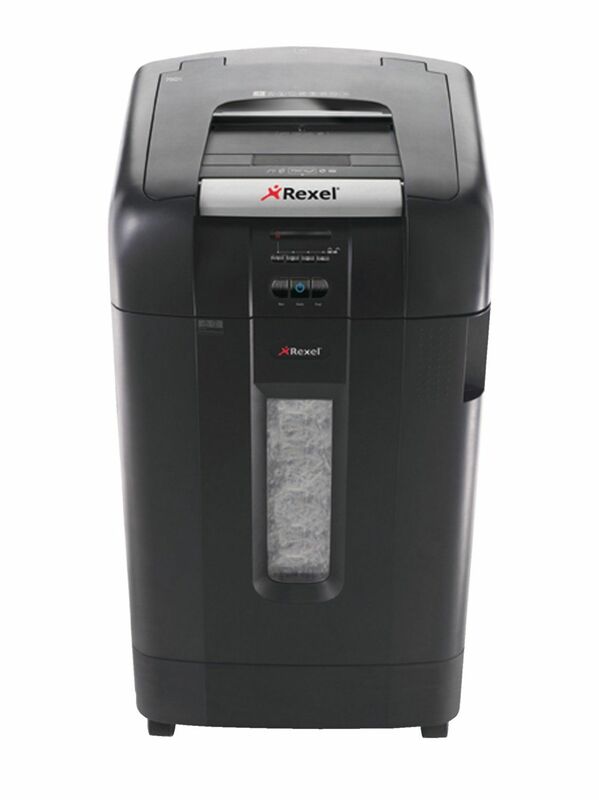 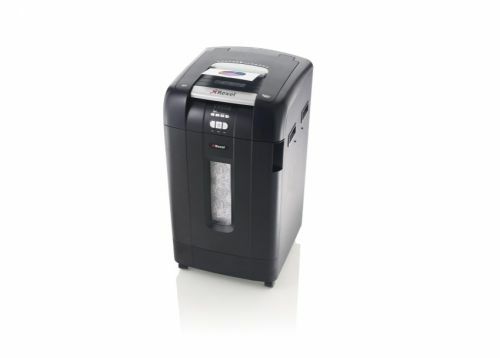 Capable of shredding up to 750 sheets of 80gsm paper into 400 pieces at P-4 security level, this Rexel Auto+ 750X shredder is ideal for use by 20+ users. 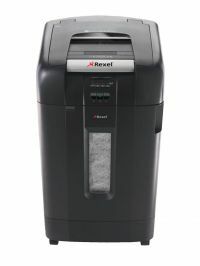 Intelligent self-oiling and Jam Free technology enables reliable, continuous use for efficient shredding. 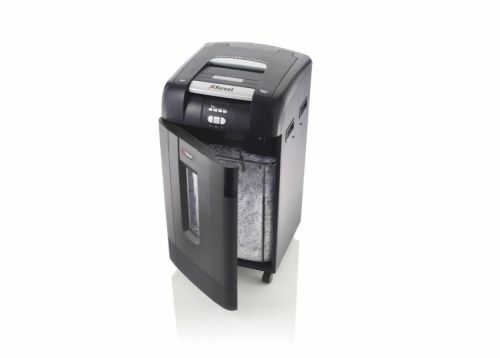 Also shredding staples, paperclips, CDs and credit cards, the shredder also features a PIN code lock for security and a power save feature after 2 minutes of inaction. 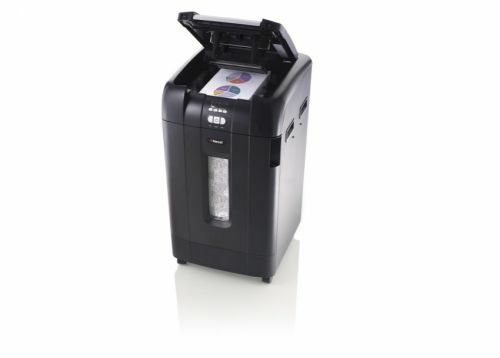 The shredder also features a 115 litre, easy empty bin, which holds up to 1,100 sheets.